Maurice Tani – This Is It! Like the subject of “Bag Woman,” a song she wrote and recorded in 2014, Aireene Espiritu has no house or apartment of her own. She does have a car — a 2005 Prius — that she uses to travel from gig to gig along a route that includes Northern and Southern California, Oregon, Washington, Idaho and Utah. Sometimes she camps out or stays in motels, but more often Espiritu house-sits for friends or spends nights in the homes of people who book her for house concerts at which she accompanies herself on ukulele or guitar while singing in strong, emotion-soaked alto tones. The house concert business has been picking up a lot lately, thanks, she says, to a website called www.concertsinyourhome.com. Club dates and festival bookings have also been on the rise, in which she shares the bill with two bands: the Itch, a quintet based in Southern California, and the Little Village Allstars, led by Jim Pugh, onetime Robert Cray and Etta James keyboardist, and guitarist Kid Andersen of Rick Estrin and the Nightcats. Espiritu is scheduled to perform at this year’s Hardly Strictly Bluegrass festival on Oct. 2 after a string of solo shows and concerts with both bands in the Bay Area throughout September. She starts with a show Saturday, Sept. 3, where she’ll appear solo at a benefit for the Multiple Sclerosis Society at the Lost Church in San Francisco. Espiritu follows that up with an outdoor set with the Itch on Sept. 9 at the Point Richmond Summer Music Festival. The Little Village Allstars will back Espiritu at the Poor House Bistro in San Jose on Sept. 18 as part of a daylong multi-artist blues event called the Lil Easy Backyard Party. She concludes her monthlong run Sept. 29 at San Francisco’s Asian Art Museum. The latter two shows will feature songs from Espiritu’s fifth and latest album, “Back Where I Belong,” which has received favorable notice from critics since its July release on Pugh’s nonprofit Little Village Foundation label. The latter tune, as sung by Mississippi State Penitentiary inmate Henry Wallace, was first recorded at the prison in 1948 by self-described “song hunter” Alan Lomax. 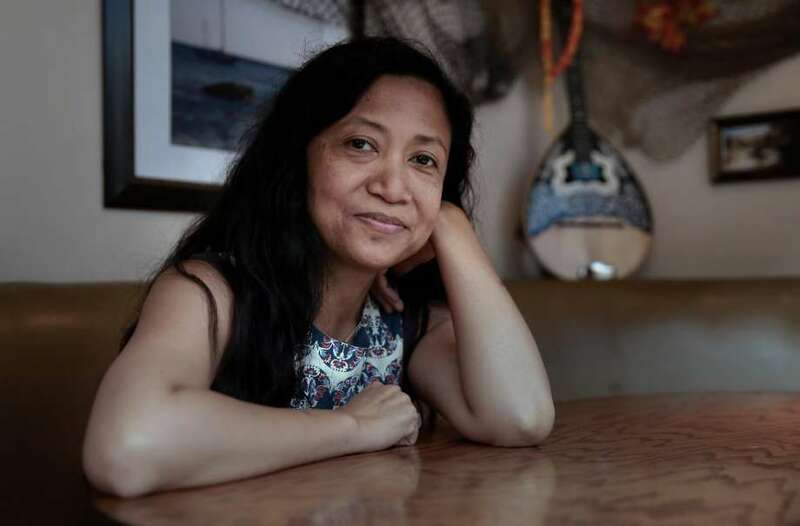 Espiritu’s passion for American folk music was sparked by the Lomax book “The Land Where the Blues Began,” which she literally stumbled upon on the floor of a bookstore in the early 1990s while living in San Francisco’s Outer Sunset District and attending San Francisco State University. But much of Espiritu’s “Back Where I Belong” is an homage to the Bay Area’s own Sugar Pie DeSanto. Seven of the album’s tracks were first recorded by DeSanto, the veteran Fillmore district-reared R&B singer-songwriter, now 80 years old and living in Oakland. It was Pugh’s idea to have Espiritu interpret DeSanto, the daughter of a Filipino father and African American mother. Although Espiritu had never sung much R&B previously, she jumped at the challenge. Espiritu first saw DeSanto perform nine years ago when both appeared at the Rogue Valley Blues Festival in Ashland, Ore.
“I thought, ‘Wow. This small woman is on fire.’ She was such a spunky woman,” recalls Espiritu, who at 5 feet is only an inch taller than DeSanto. The two women didn’t meet in person until June, however. Espiritu was one of four Little Village Foundation artists performing a show at Freight & Salvage in Berkeley that DeSanto attended.